On May 26th, Eagle Rock Entertainment will release Olé Olé Olé! 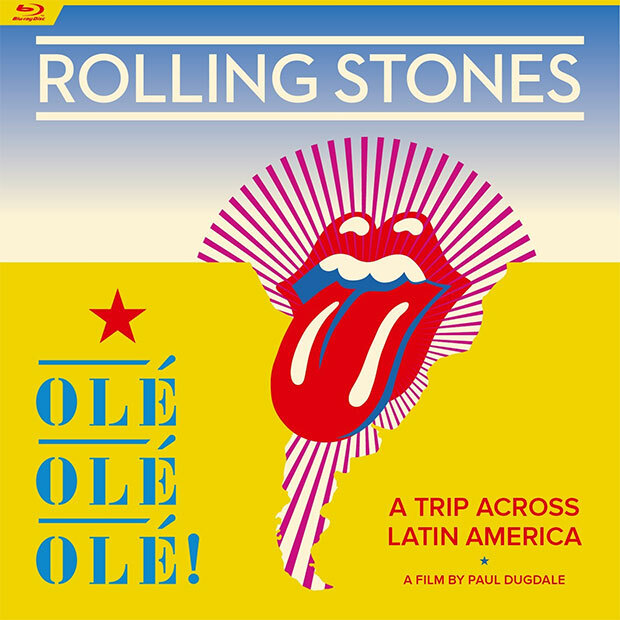 A Trip Across Latin America by The Rolling Stones — a documentary film by Paul Dugdale. Released on DVD and Blu-ray, the film was given a strictly limited theatrical release around Europe in September 2016 and broadcast on Channel 4 in December 2016. Olé Olé Olé! A Trip Across Latin America makes the perfect companion piece to the Havana Moon release from Autumn 2016. This DVD and Blu-ray release will also include seven exclusive bonus live tracks from the tour with a running time of over 50 minutes. As well as the full film, the bonus features on this release offer a collection of incredible full-length performances from the Latin American tour.